The drama and the laughs return. 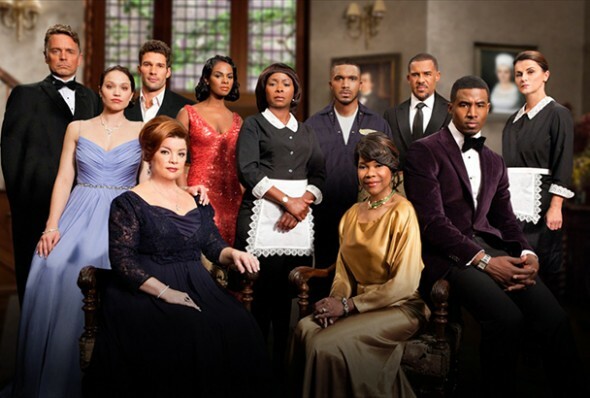 OWN recently teased new details about the season three return of their series The Haves and the Have Nots and Love Thy Neighbor. The two shows come from creator Tyler Perry. New episodes of The Haves and the Have Nots return on June 21st at 9 p.m. ET/PT, with new episodes of Love Thy Neighbor debuting on July 1 at 9 p.m. ET/PT. In the new season of Tyler Perry’s hit soapy drama “The Haves And The Have Nots” the hunt is in full swing as Candace Young (Tika Sumpter), Jim Cryer (John Schneider), David Harrington (Peter Parros), Veronica Harrington (Angela Robinson), Katheryn Cryer (Renee Lawless) and Jeffery Harrington (Gavin Houston), are all on the run for the heinous crimes they have committed. Hanna (Crystal Fox), the moral conscience, is also tested like never before when her daughter Candace’s (Tika Sumpter) latest hustle fails miserably. Knocked down, but not dejected, Candace is more desperate than ever and sets her eye on a new man she hopes to entice with her irresistible feminine wiles. Meanwhile, Katheryn Cryer shows her family and friends just how far she’ll go when someone crosses her and Jim and Veronica are rendered helpless as she unleashes her fury. In the new season of Tyler Perry’s hit comedy “Love Thy Neighbor” Sam (Jonathan Chase) and Drew (Darmirra Brunson) are desperate to fix their broken relationship with their friend Danny (Andre Hall) and their lives take a zany and unexpected turn. Meanwhile, in dramatic fashion, the gang helps Linda (Kendra C. Johnson) bring her new baby into the world and Mama Hattie (Patrice Lovely) saves the day when the infant is born in the most unlikely of places. What do you think? Do you watch either OWN series? Are you excited for new episodes? More about: Love Thy Neighbor, Love Thy Neighbor: canceled or renewed?, OWN TV shows: canceled or renewed?, The Haves and the Have Nots, The Haves and the Have Nots: canceled or renewed?